Lime Green Giggles: Up, up and away! 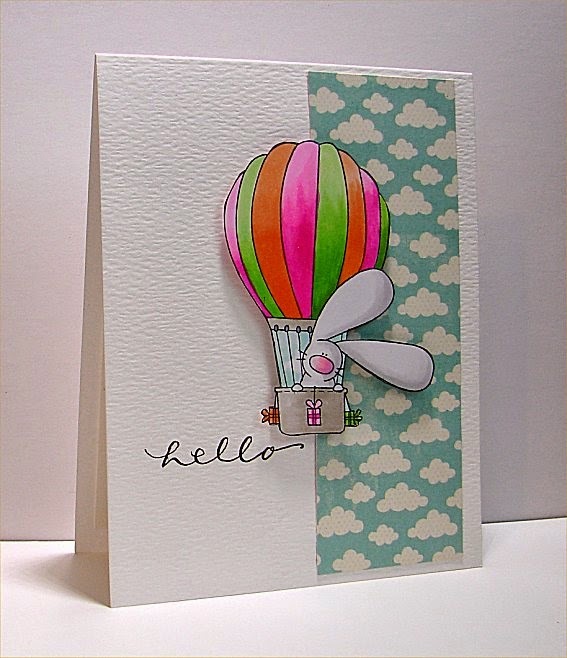 the theme for this week is Up, up and away! Oh yes, and I got to spend some quality time coloring with my copics! Your bunny looks really happy Doni! Love that adorable bunny! Your coloring on the balloon is awesome! Love the colours and a great take on our challenge.